Every year I choose a theme to live by. 2014 was Small & Simple, 2013 was Enjoy the Journey, you get the idea. 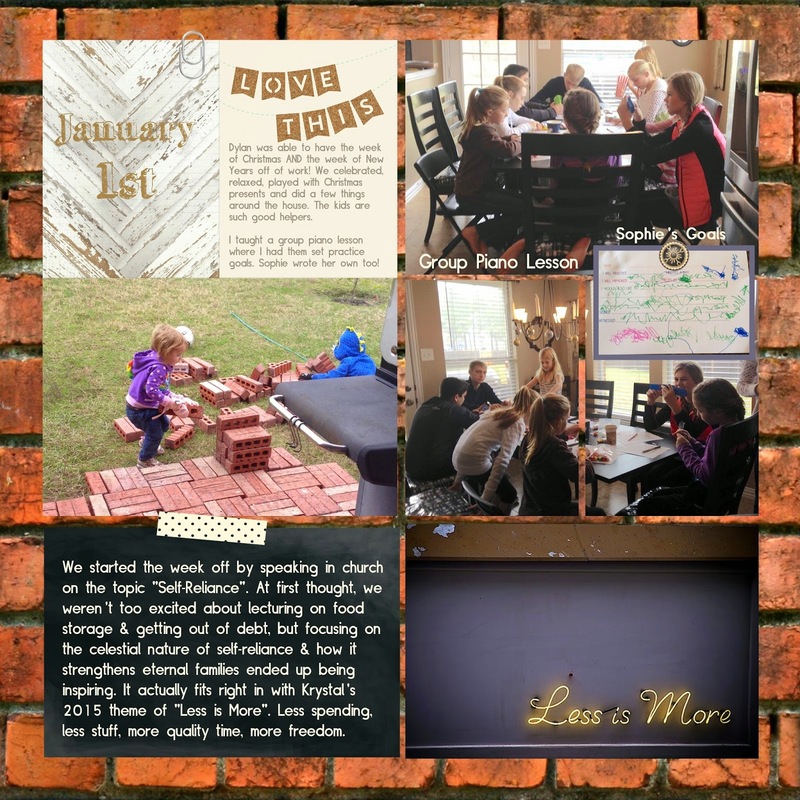 Here is my FIRST page of the year, introducing my theme, and documenting our relaxing week. I used the Project Life app for the collage of the pictures in the top left corner, but added the text and completed the rest of the page using MDS. I love the app for getting the "bones" done quick, but for adding text and extras, or tweaking a layout (like adding "Sophie's goals") My Digital Studio is a MUST HAVE!